Adults and kids alike can benefit from the boost in self-confidence that comes from having a great-looking smile with beautifully aligned teeth. Orthodontic treatment can even improve chewing, speaking and oral hygiene in certain cases. And with today's virtually invisible orthodontic appliances, it's possible to keep your treatment a private matter… until your new smile is unveiled, of course! 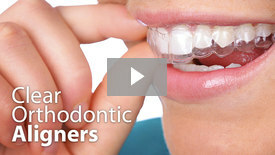 Learn more about Orthodontics. Some bite problems are much easier to treat if they are caught at an early age. That's why all children should have an orthodontic evaluation by age 7, even if it's not yet time to begin treatment. Learn more about Early Orthodontic Treatment. It is preferable to treat many orthodontic problems during adolescence while the body is still growing rapidly. In later years, when the bones of the face and jaws are fully developed, many conditions become more difficult (and costly) to treat. 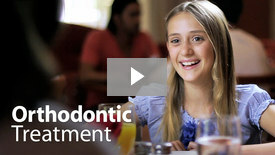 Learn more about Adolescent Orthodontic Treatment. If you think you've missed your chance to have beautiful, straight teeth, think again! Healthy teeth can be moved at any age, so there's no such thing as being too old for braces. However, orthodontic treatment for adults is different in certain respects than it is for a growing child. Learn more about Adult Orthodontic Treatment. Braces are fixed orthodontic appliances attached to the teeth that normally are not removed until treatment is complete. You may already be familiar with traditional metal braces, but there are also less noticeable alternatives available. Learn more about the Types of Braces. Removable clear aligners offer adults and teens a nearly invisible alternative to traditional metal braces. They also allow easy cleaning of your teeth each day and can even be taken out for important social occasions. 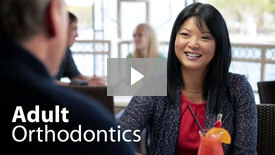 Learn more about Invisalign Clear Orthodontic Aligners. Once you've invested in orthodontic treatment, you'll want to make sure to keep your smile healthy and looking great. Genuine orthodontic emergencies are rare, but it's a good idea to know what can happen and what to do. Learn more about Orthodontic Emergencies.